Located in Fairfax, Virginia, we service all of your vehicular needs. With a team of experienced drivers, we will make sure that your vehicle is taken care of whether it is busted, broken, or down to its last drop of gas. Being stuck on the side of the road with no family or friends to call to get you out of a jam can be tough. Let us help you get back to where you need to be. We offer services in many different locations in Virginia. Based in Fairfax, we offer towing services in Northern Virginia, including Fairfax, Vienna, Oakton, Clifton, Chantilly, Centreville, Manassas, and obviously everywhere in between. We are always on the road, looking to help out. Whether it’s a tank of gas, a locksmith, or just a friendly smile, our team gets it right every time. Tow Trucks in Virginia can be tough to get, as it is such a big state, and there are a lot of areas in between, especially in the rural counties. We service all over Northern Virginia and have trucks running all day, and stationed at night. We make sure that our trucks are sent to you, they can handle any job, and we make it easy for you. When you are asking if there is a tow truck near me, we say yes because our towing company has trucks driving Northern Virginia day and night towing, fueling, sparking and inflating. We make sure customer satisfaction is number one. 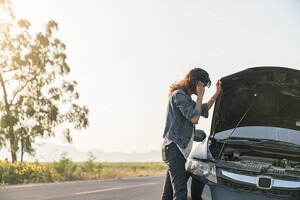 If your car doesn’t start on the side of the road, we will tow it to a garage who can diagnose the problem and take you to where you need to be. That way, you are still getting things done that you need to be done. 24/7 emergency services– We will come find you and your car along with any interstate highway, whether you’re out of gas or it just started steaming. Being alone on a dark highway at two in the morning is not ideal, so let us make it a little easier. 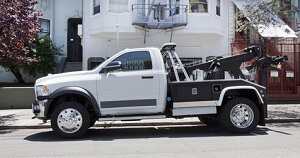 Heavy duty towing– Large trucks take very specific hooks and levers to be towed, and we have all the equipment necessary to make sure that your truck is sorted properly. No damage, issues or anything will happen when we take your big rig and bring it to the proper garage. Medium duty towing– Making sure that your mid-sized vehicle is taken care of, we can tow it anywhere in Northern Virginia. Offering winching, boosting, fuel delivery and tire inflation. 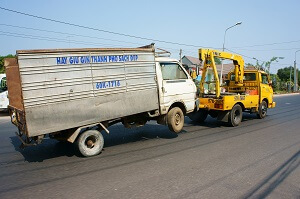 Light duty towing– Any car, motorcycle, or broken down bicycle can be towed by us. Whether it’s a flat tire, out of gas or just not working we can attach it to a truck and tow all around Fairfax, Vienna, Oakton, Clifton, Chantilly, Centreville, Manassas and Northern Virginia. We make sure that your family is picked up quick, and are taken care of. That your vehicle is taken care of safely, and you are back on the road as quickly as possible. Roadside assistance– Getting locked out of your car is a horrible experience. Whether it is running, wasting gas, or even just sitting there while you are late for work. We show up speedily to help you out and solve your issues. Boosting your car can be dangerous if you don’t know how to do it, that’s why you should call the professionals at Fairfax Tow Truck. Accident recovery– Accidents can be jarring and shocking. Don’t wait to be shell shocked to find someone who will pick you up and take care of you. Put us on your phone before it happens, so that all you have to do is hit speed dial, and make life easier. We pick your car up and make sure it is good to go, while you are otherwise occupied making sure that you are good to go. Tire change service– Our team has changed more tires than some have had a warm meal. We are professional speed changes and will make sure that it’s done quickly and efficiently for you. We carry a bag of tools and tricks, like WD 40, all kinds of wrenches and ratchets and exactly what is needed to get you back on the road. Lockout service– Don’t break your window. Don’t damage your door with a coat hanger, just give us a quick call. We won’t play around with a slim jim and cause you all kinds of trouble. We will just give it a quick pop, and you’ll be back on your way. Jumpstart service– Black to black, red to red, the cables can be confusing to some that have not done it before. We make sure that you are covered properly, and it doesn’t become a shocking day. Our team is professionally run and trained and will make sure that you get a quick zap and are sent on their way. Gas delivery– Running on a low tank can get the blood pumping, but when you gamble and lose, and are stuck on a highway shoulder with no gas, we are the ones you should call. We carry a few Jerry Cans with us at all times, so if you need a little bit or a full tank, we can get it done for you and get you back on your way. Having an emergency pack in the car, including pylons, flashlight, and flares. Waiting inside the vehicle and never standing on the outside, near the road or in between two parked cars. By following these tips, you will ensure your safety while you wait for a pickup on the side of the road. It is always better to stay safe and wait for our professional team to take care of the issues. They are trained in roadside safety and will make sure that all the proper procedures are followed to minimize the danger to you and themselves. This way, you are back on the road speedily and home again soon. Sometimes life happens to you, and it is our job to make that easier. Moving vehicles from one job site to another or even just pulling them around the block can really make a day tough if it’s not done properly. Hitting deadlines is paramount when using them, so Fairfax Tow Truck makes sure it is done properly the first time. Our team of professionals take their time and work efficiently to create a sense of trust, and repeat loyalty. We have a friendly, professional team that make your family comfortable and relaxed while they do their jobs. The current strong equipment will make sure that nothing goes wrong and nothing gets scratched or broken, and your vehicle is returned in the best shape possible. Offering these services, we can make sure that you are taken care of through any part of your trip, or if anything gets in your way. We make sure that you are fueled, started, the engine has turned and is back on the road before you leave, anywhere in Northern Virginia. Virginia Tow Trucks are important pieces of the road, and we want to make sure you are handled in the best way possible.If you have any questions or concerns, feel free to contact us with any of the methods on our website, or call us anytime. We are 24/7, ready to help you. 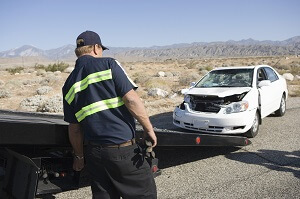 Fairfax Tow Truck offers superior wrecker service and roadside assistance to all that call. Whether you just need to tow that heavy machine from one site to another, or you are stuck on the shoulder of an interstate at three in the morning, we are there to shake your hand and pull you up. 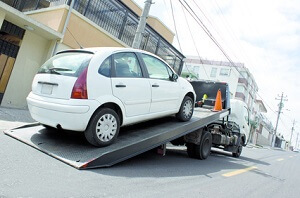 Our team is trained consistently to solve all kinds of problems one might face when towing. We have quick thinkers and strong problem solvers who will make sure that the problem is sorted efficiently and everyone is happy. We hope to help as much as we can and make sure you are fully satisfied. Finding an experienced and safe team to tow you in Virginia can be difficult, but our team of experts is here to help. You can read or write some reviews here, to prove how good we are at making sure the customer is completely satisfied. Fairfax Tow Truck is a new force on the roads of Northern Virginia, and we make sure that the customer is taken care of. Whether it’s pulling something heavy, medium or light, or just plain getting gas for someone stuck on the interstate, we take every job seriously and ensure that all things are done properly. Servicing all over Northern Virginia, including Fairfax, Vienna, Oakton, Clifton, Chantilly, Centreville, Manassas, and everywhere in between, we drive all over to satisfy the customer’s needs. Call us now, and get started, because the sooner you choose us, the sooner you are back on the road.